Casing made up of high impact strength Polymer, to prevent breakage. Handle with special grip for a perfect comfort during carrying. 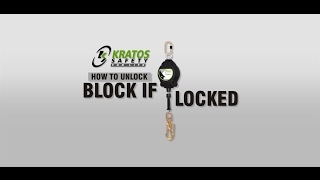 Comes with Galvanized Steel Wire Rope of diam 4.5 mm with a snout for a better gripping of the retractable lanyard. Internal braking mechanism to reduce the fall arrest force less than 6kN. Swivel and FA 50 101 17 at anchorage end, FA 50 203 11 at attachment end. FA 50 203 11 connector with load indicator.